Headed for an afternoon at the Woodland Park Zoo? Why not start a new tradition, and stop across the street for a delicious family brunch at Norse Home! 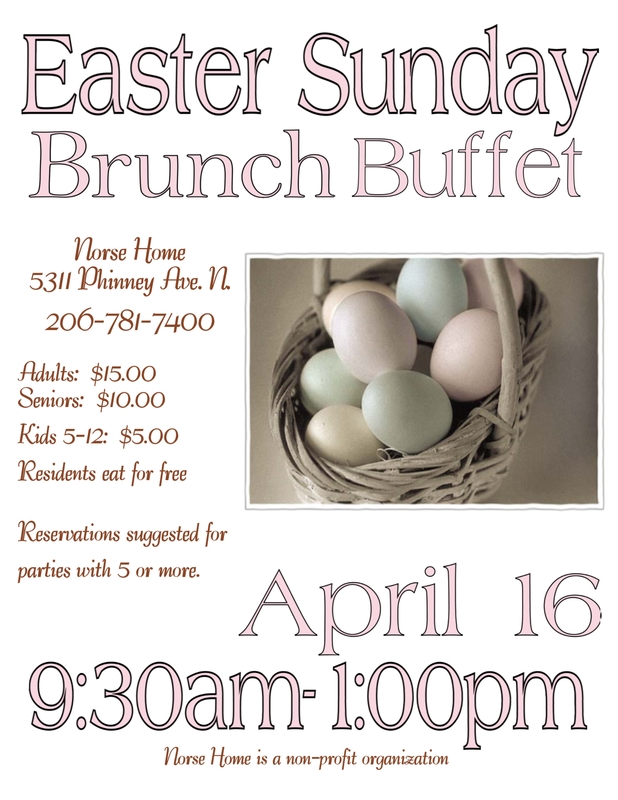 You’re invited to join us on Easter Sunday, April 16th, at 9:30 AM, for our Brunch Buffet. The event features delicious Swedish pancakes, and traditional breakfast menu items, completed with a Norwegian flair. All funds raised will go directly back towards supporting the Norse Home community. Come spend your Easter morning with us, and continue to keep the vibrant Scandinavian culture of traditional Ballard alive! Call 206-781-7400 to make reservations.